I’ve completed my first build and run a few programs from the standard Lego software to test the mechanics. Its a pretty impressive peace of kit! Here are a few pictures of the standard Alpha Rex robot. With one major enhancement, can you spot it? It is capable of communicating with the internet via its fetching Wifi back pack! After doing a few tests with the backpack idea, sadly it does effect the balance of the robot, so some tweaking might be required, I’m thinking tracks…. 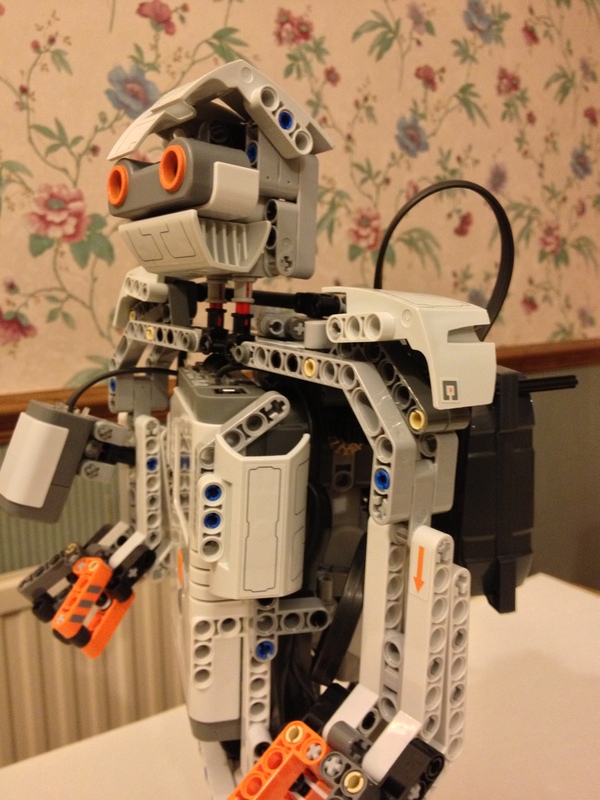 Categories: Lego, Machine Cloud, Robots, WifiBlock | Permalink.